SUNY Oswego’s top academic and civic-minded students were honored April 7 at the annual Honors Convocation in the Marano Campus Center arena. About 140 students were recognized for their achievements during the 2016-2017 academic year. The Honors Convocation brings together the Chancellor’s Award for Student Excellence recipients – the highest honor bestowed on a student in the State University of New York system (see related story) – as well as individual award recipients and honors from each of the four schools of SUNY Oswego. Keynote speaker Dr. Raelynn Cooter ’77 extended her congratulations to students and shared her thoughts on having the courage to pursue dreams. “Your presence here today clearly demonstrates that you are committed scholars – students who are not just interested in getting a degree, but intent on excelling in your chosen fields of study and taking full advantage of the significant opportunities that are being provided to you by this incredible institution that we call SUNY Oswego,” Dr. Cooter said. Her keynote included three main themes: keeping the faith that there is a “greater good” toward which to strive; dreaming beyond what is thought possible; and relying on the wealth of knowledge already possessed. Dr. Cooter is associate provost for academic infrastructure at Thomas Jefferson University in Philadelphia, Pa., where she also serves as the university’s accreditation liaison to Middle State Association. She is a member of the Oswego Alumni Association board of directors, the Sheldon Legacy Society Steering Committee and a member of a general scholarship committee. She has established her own SUNY Oswego scholarship in memory of her parents. Dr. Cooter earned a degree in sociology from SUNY Oswego, and went on to earn a master’s degree in human services administration from the Rochester Institute of Technology in 1984 and a doctorate in higher education administration in 1994. The Honors Convocation is sponsored by Vega, the women’s honor society at SUNY Oswego. The State Singers, directed by Mihoko Tsutsumi, performed for the convocation honorees and guests. 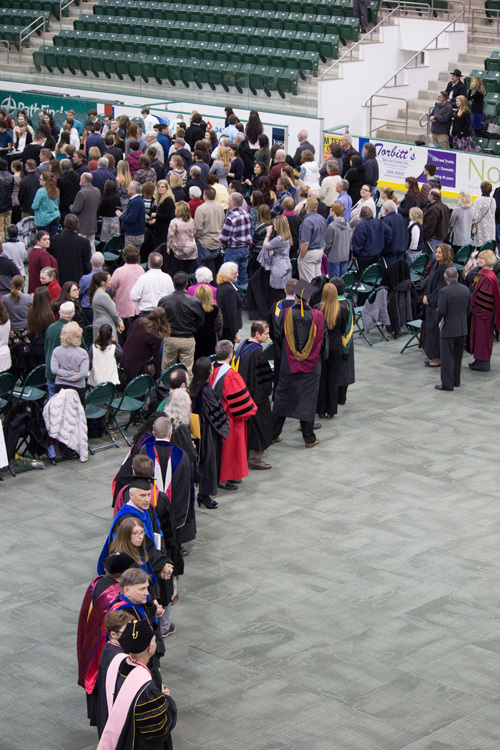 PHOTO CAPTIONS: Photo 1 – Faculty and staff line up to greet SUNY Oswego’s top academic and civic-minded students April 7 at the annual Honors Convocation in the Marano Campus Center arena. 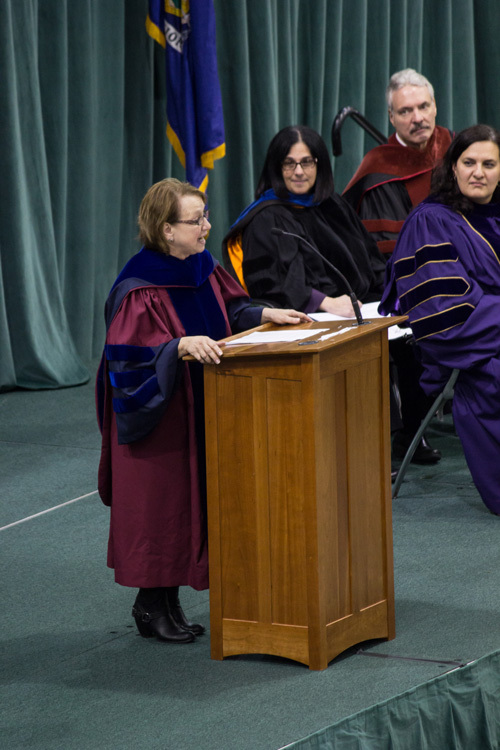 Photo 2 – 2017 SUNY Oswego Honors Convocation keynote speaker Dr. Raelynn Cooter ’77.